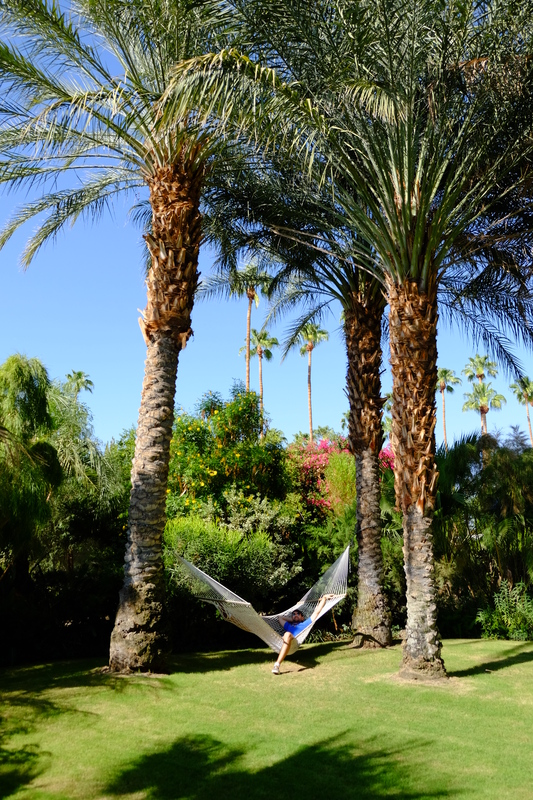 I have only been to Palm Springs a few times in my life – once as a kid with my best friend’s family, once during Coachella (mainly just to sleep there), and once a couple of weeks ago. Only during the last trip did I realize how amazing this little city is! 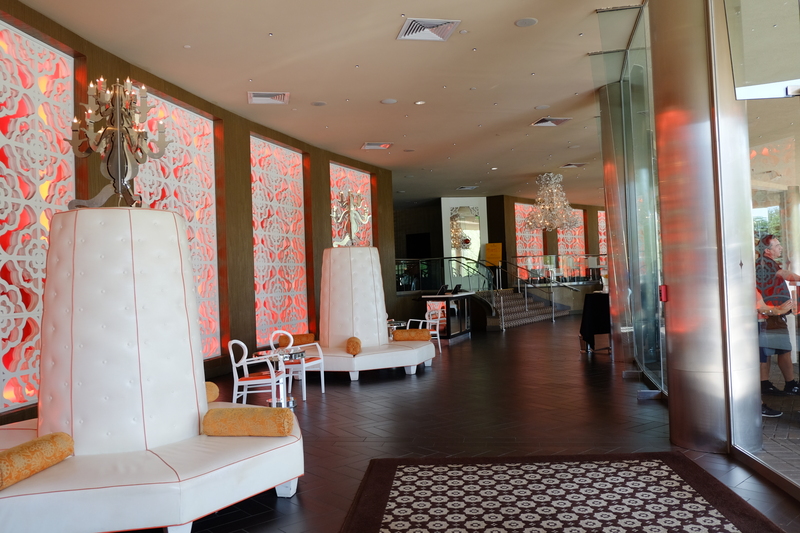 If you live in southern California, this is the perfect chill weekend getaway. Lay by the pool, soak up some rays, have some delicious food, pretend like you’re in 1964… it’s divine. Calling this a “travel guide” is a little auspicious – what I really mean is that I’m going to tell you where I went & enjoyed, and maybe some places I heard about and didn’t get a chance to see. 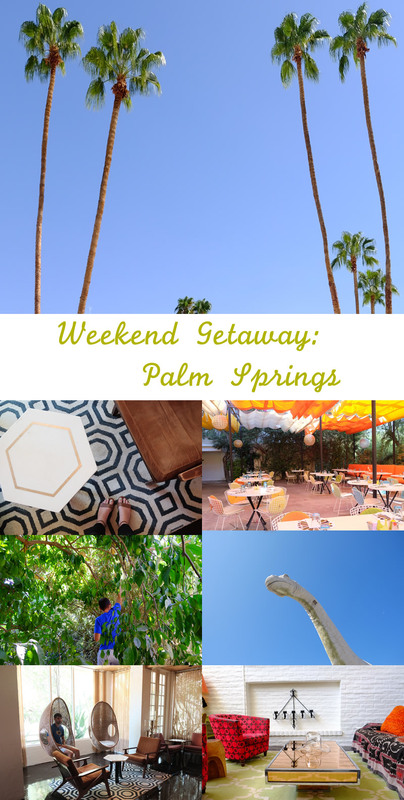 There is so much to explore in Palm Springs, but I’ve outlined just a few of them for you below. 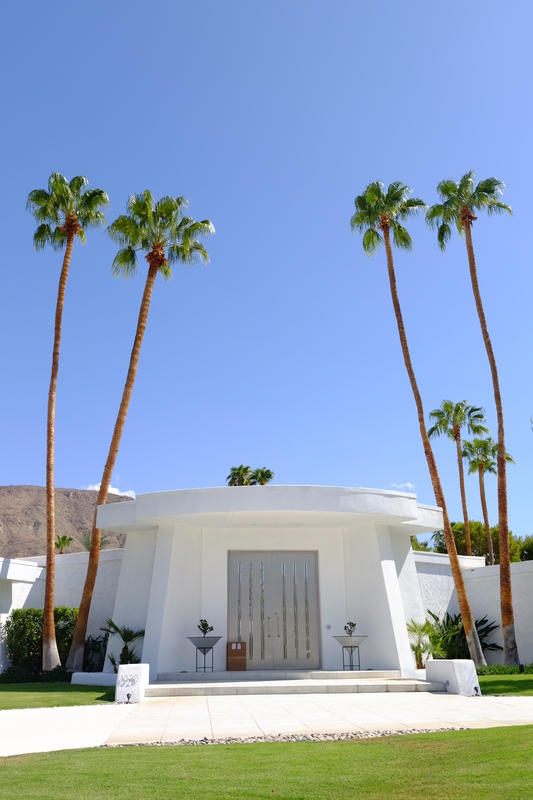 The first thing my boyfriend and I did was drive to one of the most famous houses in Palm Springs, at 1100 E. Sierra Way. Why is this house so famous, you’re wondering? Well, this thing has a PINK DOOR! A giant pink door, in fact. 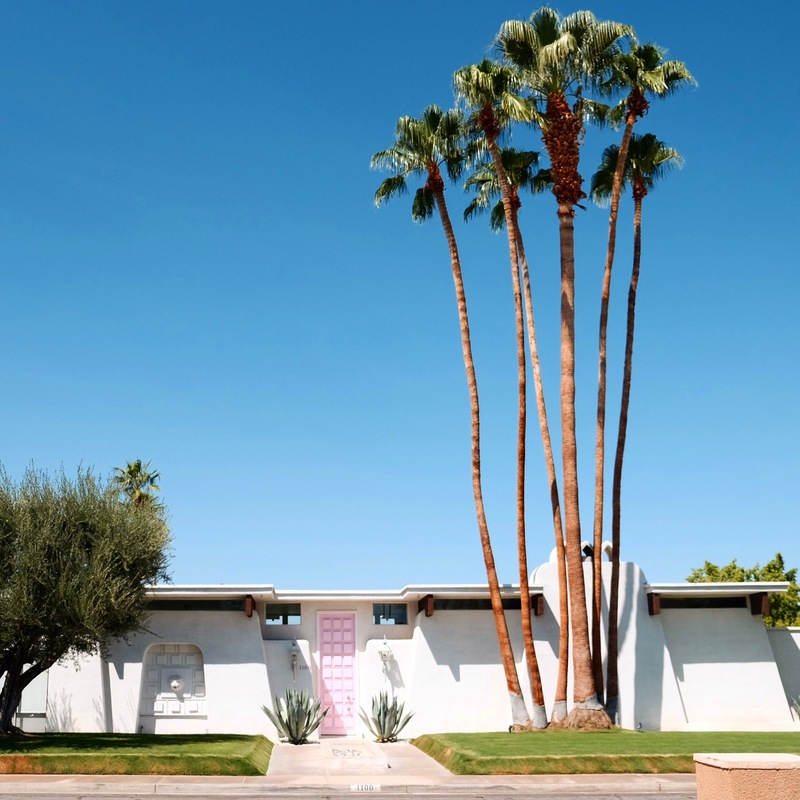 If you browse through Pinterest for “things to do in Palm Springs”, or check the Instagram feed for the hashtag #thatpinkdoor, you’ll see hundreds or thousands of photos of this same pink door. What can I say, hipsters love a brightly-colored door! The cool thing about it is that it looks 15 feet tall, but the actual door that opens is normal sized, and the rest of it stays stationary. We saw someone go in right when we pulled up!!! If only they had invited us in for a cocktail… Apparently the home is owned by a well-known interior designer. The rest of the houses on this street, as well as in the surrounding areas are AMAZING. 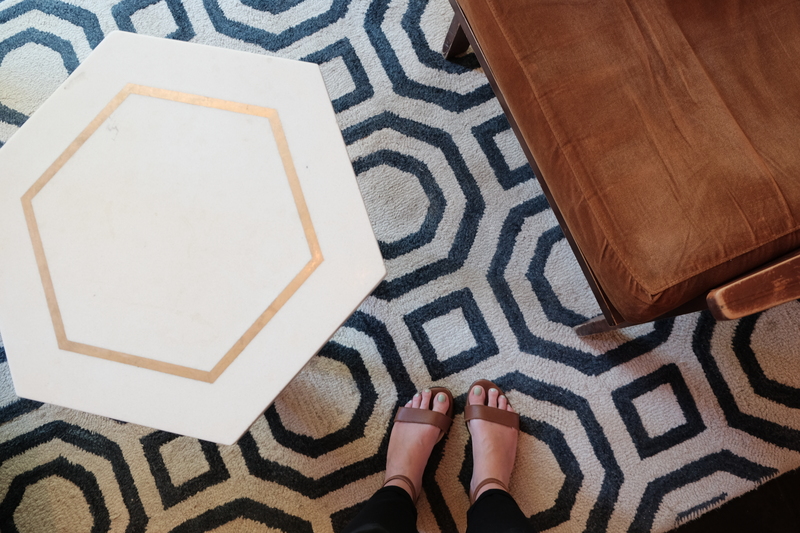 So many succulents, palm trees, 60s designs, funky decorations… I died. I started looking up house prices on the spot – turns out they’re affordable! But then you’d probably die of the heat if you lived there full time. Conundrum. I must admit, we did not get to do this on this particular trip, but I have done it before and it was awesome! 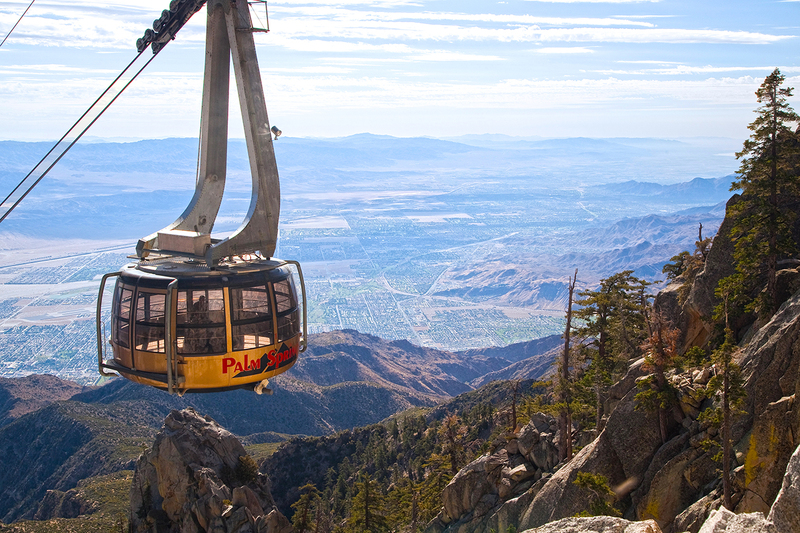 There’s a tram system that takes you on a 10-minute ride along the side of the mountain that surrounds Palm Springs. The view from the tram is breathtaking, and then you can take hikes at the top! There is also a restaurant up there in case you want to get a little tipsy on top of the mountain, or chow down on some grub. Do you think the employees of that restaurant get to take the tram to work everyday?? So cool! Remember the classic film Pee Wee’s Big Adventure? Remember those awesome dinosaurs? Well, you can visit them in REAL LIFE on your way out of (or in to) Palm Springs! This roadside attraction is straight out of the 60s, and I suspect there haven’t been any renovations since then. 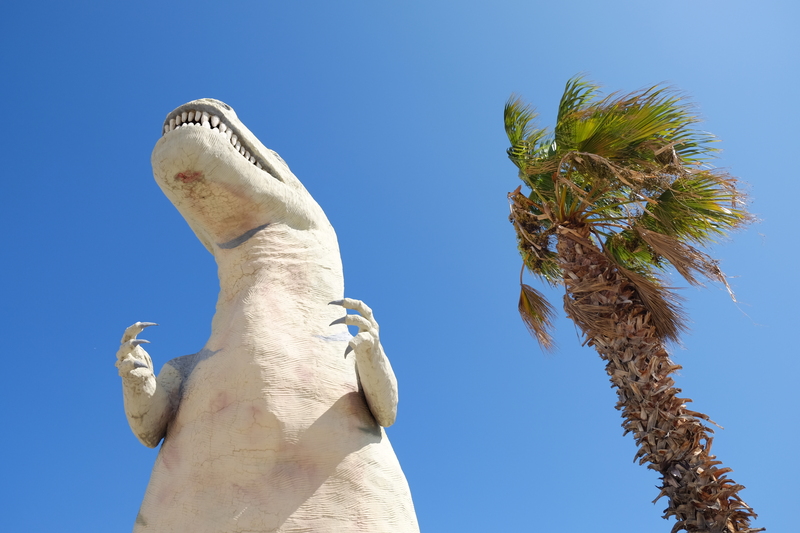 If you love kitschy, decrepit life-size reptiles, this place is for you. 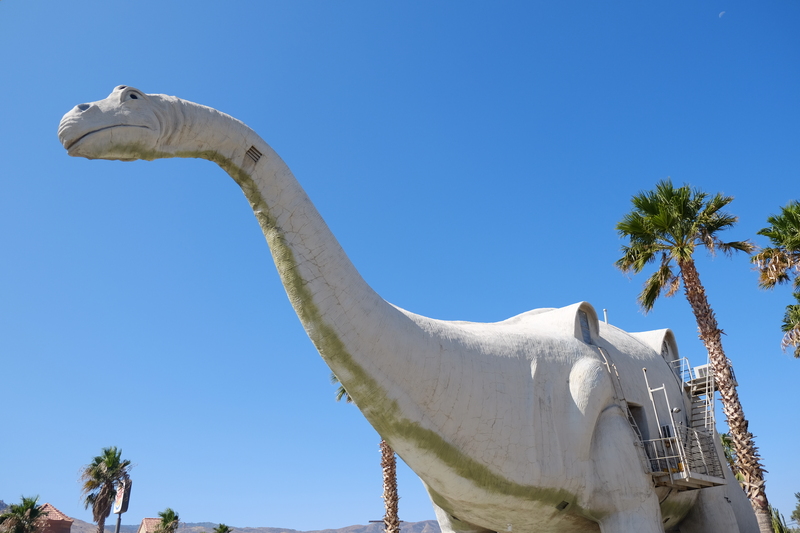 Climb into the belly of the brontosaurus and browse the most over-priced gift shop of all time! 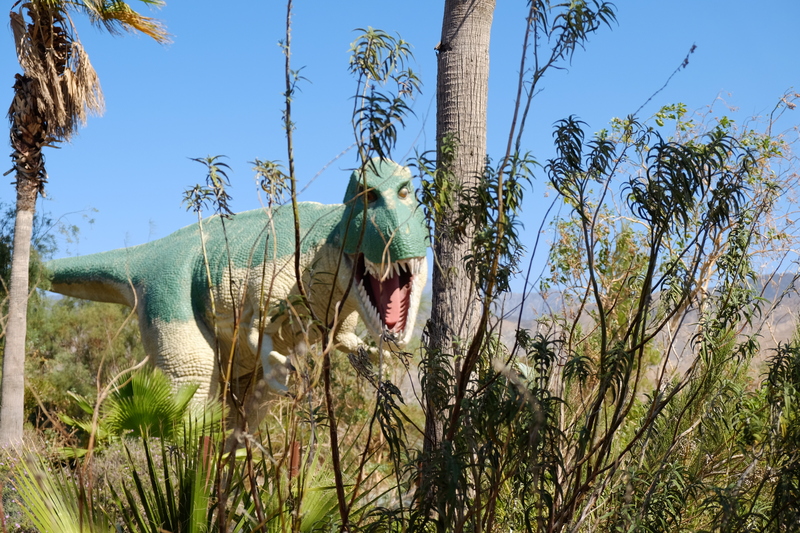 Pay a few bucks and take a trip back in time while prancing through an artificial prehistoric prairie. 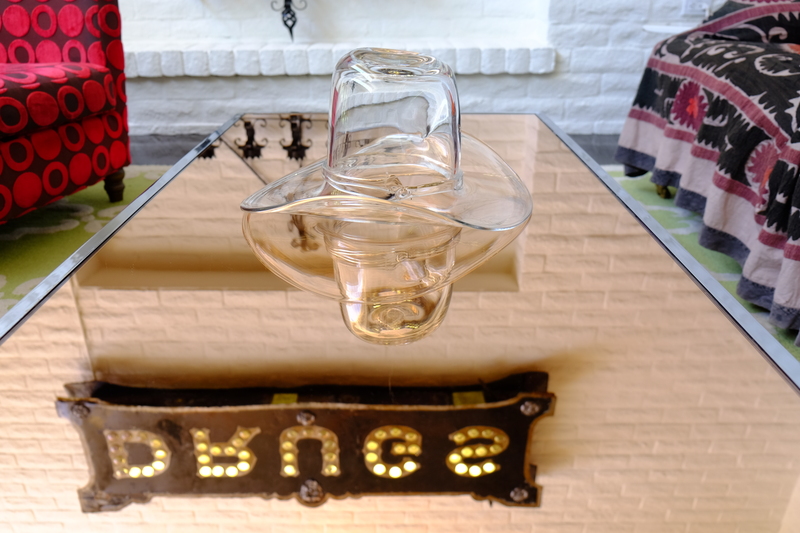 It’s wholly unusual, and you’ll love it for that. 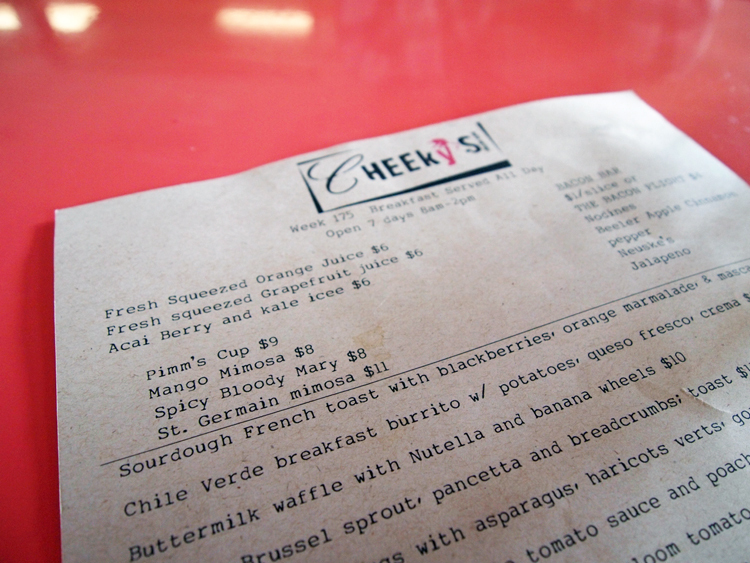 All I read about online when looking for a breakfast place was Cheeky’s. Boy was it for good reason. This place was BOMBBBBBB. You MUST eat here when you visit. Don’t believe the Yelp complaints about a long wait. As a San Diegan, a long brunch wait to me means 60 mins+… we waited 15 minutes at this place in the middle of the morning on a Saturday. I don’t eat meat, but they had bacon flights which sounded amazing. My boyfriend got two slices of the flavored bacon a la carte – one was jalapeno and the other was fig. They smelled delicious! I had a veggie scramble with goat cheese and toast, and my boyfriend and I shared an order of truffle tots. YUMMO. The people next to us ordered Bloody Marys and they came in BOOTS. I really wanted one but we had drank the night before already and didn’t feel like more alcohol. Do yourself a favor and have breakfast here! OH MY GAWD. This place was SO DELICIOUS. Sometimes there’s nothing more I want to eat for dinner than some really well-cooked seafood. This joint did not disappoint. My boyfriend and I got some drinks and shared two dishes – they were so scrumptious I can’t even tell you. 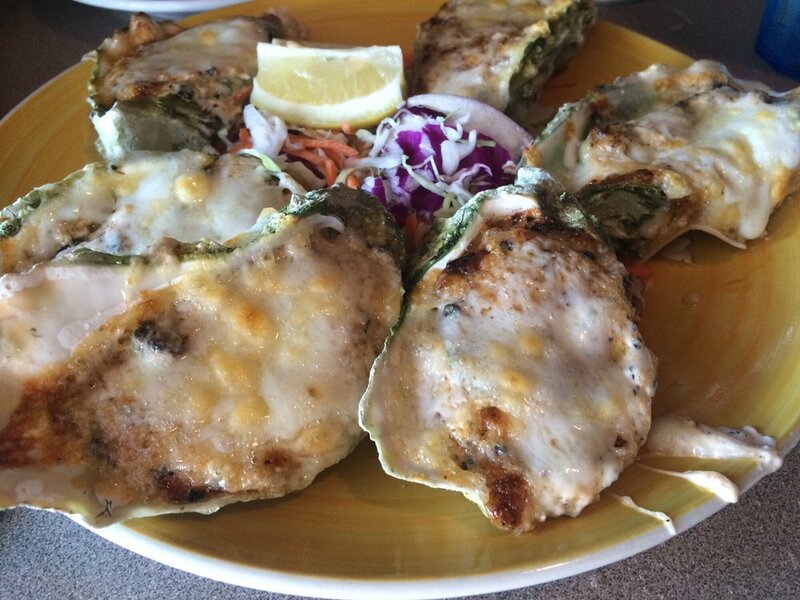 GET THE SEAFOOD SAMPLER. Trust me. The best part is that they have a HUGE outside back area with corn hole, bocce ball, and ping pong! You could potentially hang there for hours, getting more drinks and playing games. It was really fun, and I’d highly recommend it as a drink stop on your jaunt downtown. It’s an understatement to say that I’m obsessed with The Parker – I haven’t stopped thinking about it since we visited. I had heard about this place online, but nothing could have prepared me for the amazingness that is The Parker’s decor. 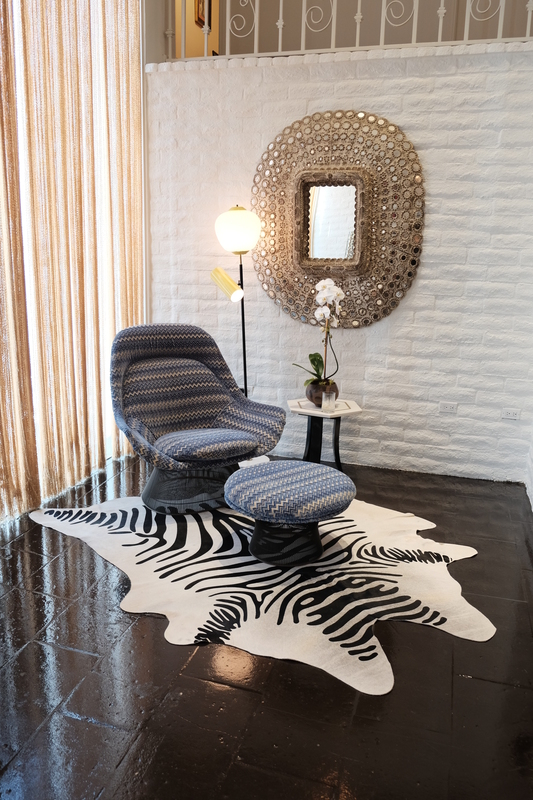 Jonathan Adler designed the interior and you can totally tell. 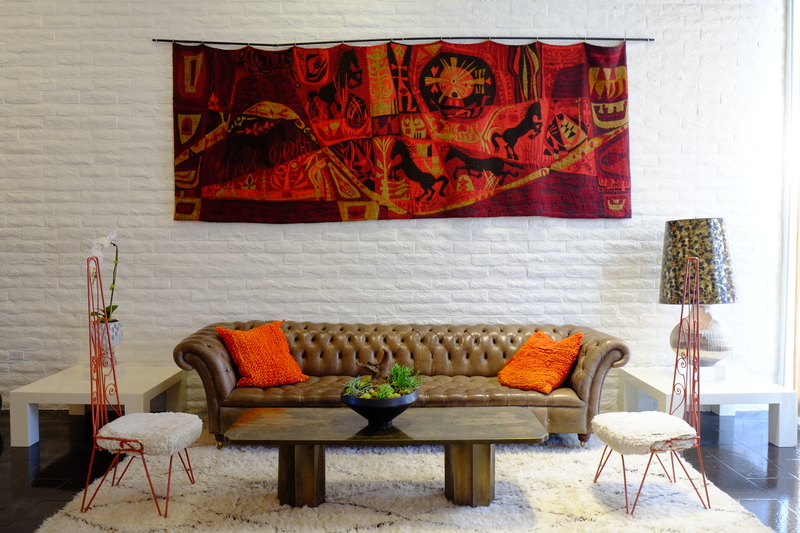 Tons of random, found objects, classic J. Adler patterns, pops of color everywhere you turn. This is the most unique hotel I have ever seen. My boyfriend and I didn’t stay here on this trip, but I fully intend to in the future. We did spend a good hour exploring the ground and taking photos. 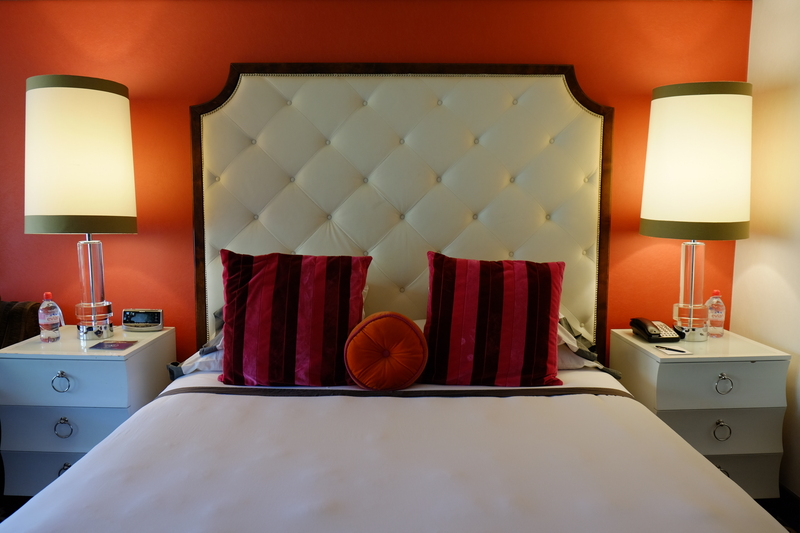 The rooms are pricey, but it would be the perfect place to stay for a special weekend. There is a restaurant and bar on the premises, and two awesome pools. This is where we did stay, and we had a great time! The Yelp page had some terrible reviews, but I didn’t experience any of that while I was there. Only positive interactions with staff and the grounds. Yelp can be weird like that. On Saturdays at noon they have a DJ at the main pool – we missed it by a day, but I can see how it would be awesome! We spent some time lounging by the pool and it was delightful. Apparently, this is where Frank Sinatra and some other 50s stars came to getaway from the Hollywood grind! Fancy. They have a bar at the pool with strong drinks, but beware the bees! There was a constant swarm around the bar, trying to drink the sugar water. I don’t know how those bartenders weren’t shrieking in fear. Our room was cozy and colorful, and we had a great view of the smaller pool. For a more affordable room, I would definitely recommend staying here!